My son is obsessed with trucks and I can’t wait to take him to the Advanced Auto Parts Monster Jack that is coming to Southern California. Monster Jam will be coming to Angel Stadium in Anaheim and Dodger Stadium in Los Angeles. 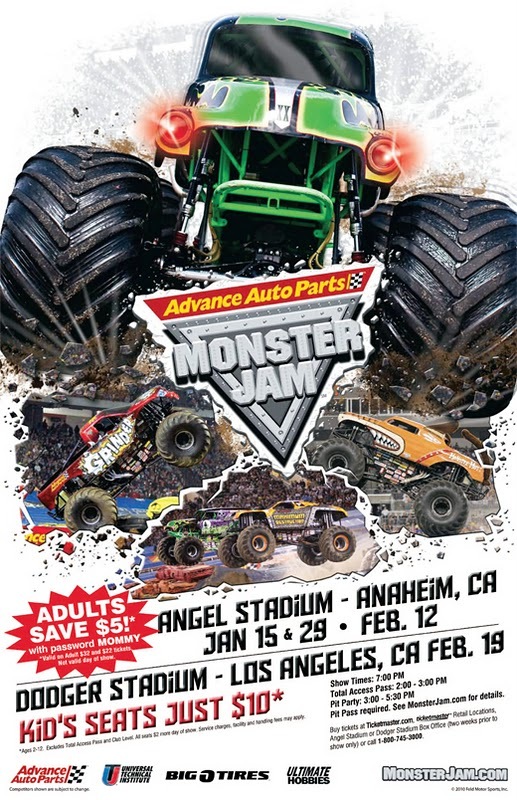 Advanced Auto Parts Monster Jam will be at Angels Stadium on Saturday, January 29th and Saturday, February 12th. It will be premiering for the first time ever at Dodger Stadium on Saturday, February 19th. In addition to the racing, you can purchase a Total Access Pass and enjoy the Party in the Pits pre-show experience – which gives access to view your favorite trucks up-close, meet the drivers for autographs and of course take some pictures with your favorite trucks and drivers. Tickets are on sale online through Ticketmaster, in person at the Angel Stadium/Dodger Stadium Box Office or by phone by calling 800-745-3000. My little boy has been watching Monster Jam videos on YouTube non stop. I can’t wait to take him! If you have little boys and of course “big boys” this is one event you will not want to miss. For additional info head here. 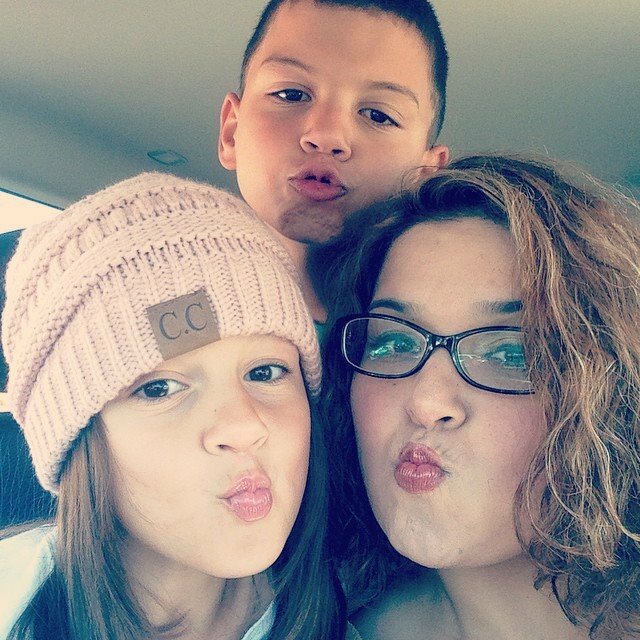 This entry was posted in Uncategorized and tagged Monster Jam Angel Stadium, Monster Jam Discount, Monster Jam Dodger Stadium. ← Win a Huntington Beach Staycation package! I tried using the codeword MOMMY and they didn’t accept it at the Angel Stadium. I like to check out your site a couple times a week for new entries. I was wondering if you have any other subjects you write about?